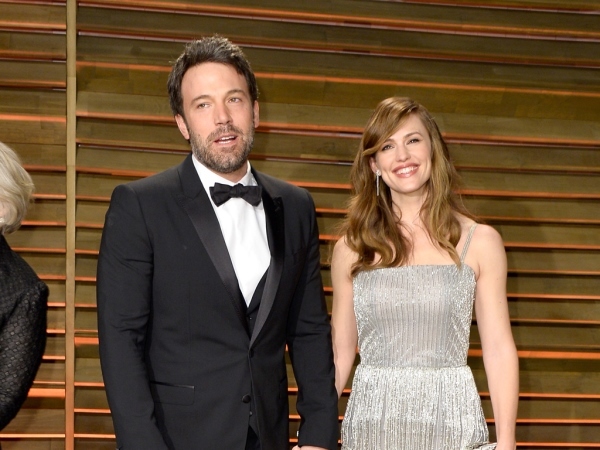 Ben Affleck and Jennifer Garner have reportedly attended couples' therapy for years. The Hollywood couple have been at the centre of intense speculation about their marriage for months, which ended yesterday when they confirmed they are divorcing. The news came a day after their ten-year wedding anniversary, but it's been alleged it was a much longer time coming than first realised. "They were in couples therapy for years," an insider told Us Weekly. "They were going to divorce when [their three-year-old son] Sam was born but you know how it is - baby comes and solves the issues for a bit but it's just a Band-Aid. It hasn't been working for ages." Since their son's birth the pair apparently did everything they could to make their marriage work. They are also parents to Violet, nine, and six-year-old Seraphina, and it's thought the children were one of the reasons they hoped to get things back on track. "Ben truly wanted his idea of family life and the idea of family he had growing up in Boston so he stayed in it longer than he wanted to because of the kids and the idea of family," the insider added. "But he couldn't save it." In their statement, Ben and Jennifer insisted they are still friends and have love for each other. The signs that all was not right with the pair first came in 2013, when Ben received the best picture Academy Award for his film Argo. During his speech he spoke about Jennifer and their relationship, hinting it had been tough at times. "I want to thank you for working on our marriage for ten Christmases. It's good. It is work but the best kind of work and there's no one I'd rather work with," he said. "You have to work harder than you think you possibly can. It's hard. But you can't hold grudges." Jennifer then joined him on stage and explained that was the way they talked about their relationship when they were alone. "I'm not sure why you had to share it live to a billion people..." she laughed. She also spoke to InStyle magazine about their union last year, explaining they were well and truly out of the honeymoon phase but that it didn't bother her. "You can't expect to be courted all the time, and I don't want to court him right now," she said. "I don't have the energy!"